Three months after the 2018 midterm elections, government officials gathered at Central Connecticut to speak on future policies and plans that would impact community college and university students across the state. 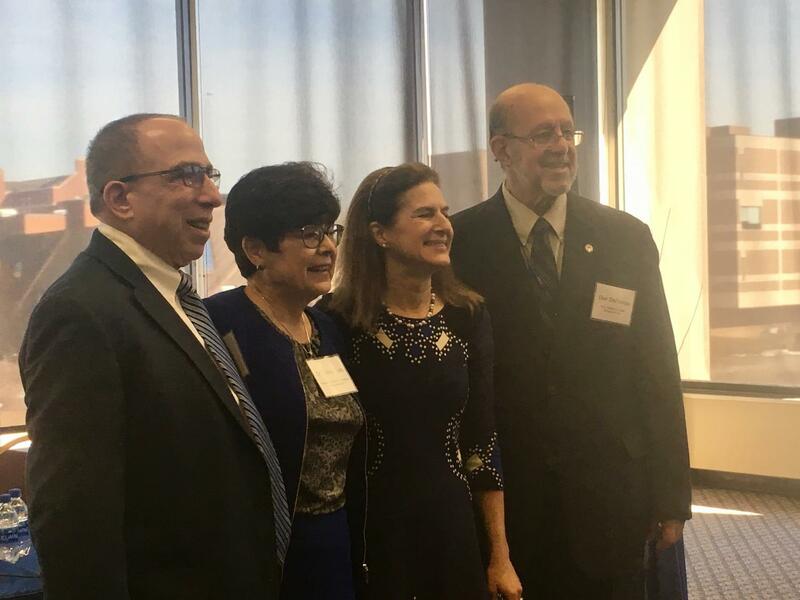 The panel was shared by Lieutenant Governor Susan Bysiewicz, Senate Chief Deputy Majority Leader Gary Winfield, Assistant Senate Republican Leader George Logan, House Speaker Joseph Aresimowicz and Republican House Leader Themis Klarides. The panelists discussed potential options to ease student loan payments, the current budget deficit and social and economic challenges of the state, most of the decisions being based on how it will be favorable to Generation Z or millennials. According to Bysiewicz, young generations have opted to move out of state due to financial difficulties and lack of opportunities available. She claimed that from 2015 to 2016, 40,000 state residents left Connecticut, with 8,000 of them being millennials. To keep young adults from leaving, Bysiewicz proposed free tuition for community colleges and incentive programs for life post-graduation, something Governor Ned Lamont advocated for the throughout his campaign. “[Free tuition for community colleges] would be a huge investment for our state. It would be a way to keep young people here because, sadly, we are losing [them] to other states,” Bysiewicz stated. She said the Lamont administration hoped that, by creating incentive programs such as student loan forgiveness, college graduates would be motivated to remain in Connecticut. Treasurer of the Student Government Association Kristina DeVivo recommended a pipeline straight from college into the workforce through paid internships. “Most college students have to work internships before we get into our job market, where we will be working 30 to 40 unpaid hours. Most time, students are taking a full class load as well. Some will even take on a part-time job to supplify their needs every day,” DeVivo explained. “We overwork and sometimes aren’t always compensated for that, which affects low-income and marginalized communities here that have to go into the workforce. [Paid internships] would be a really good way to invest into college students,” DeVivo continued. Klarides agreed that college finances are an issue for students and stated she believes residents leaving is connected with lack of job opportunities. “Affordability is part of the problem, but the bigger problem is when you graduate you don’t want to stay here because there aren’t any jobs and you can’t afford a home,” Klarides said. Winfield saw that job creation was also an issue that the state needed to face. He recommended “selling the state” through higher education and business opportunities to draw in appeal and increase economic development. But with a $1.7 billion budget deficit for the fiscal year 2020, economic development is becoming increasingly difficult to achieve and is creating tension as to where the money should come from. Klarides was highly against the tax proposals by Lamont. “It’s less money in your pocket when you go to sleep than what you started out in the morning. The fact we saw these tax proposals so early on in this session should be concerning to people in this state, showing the direction this leadership is going in,” Klarides stated. As the forum came to a close, the question and answer segment touched upon the student first plan, which would consolidate all community colleges and Connecticut state universities. History Professor Matt Warshauer was openly in disagreement with the student first plan, believing it would destroy higher education and put students at a disadvantage. “Why are you allowing a single man who has no higher educational experience to bulldoze an organization and control it without transparency and propose the largest change in the state of Connecticut to our community college and our four state universities?” Warshauer questioned. “To go from one community college to another because they don’t have the transportation is inconvenient for students. We have to be very careful about any consolidation plans because I worry about students who don’t have a college nearby,” Bysiewicz said.